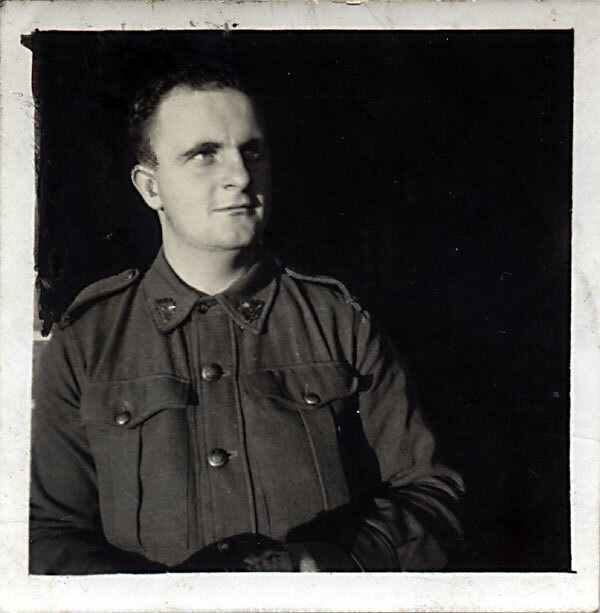 My father had kept a number of photographs that were taken during the war years. 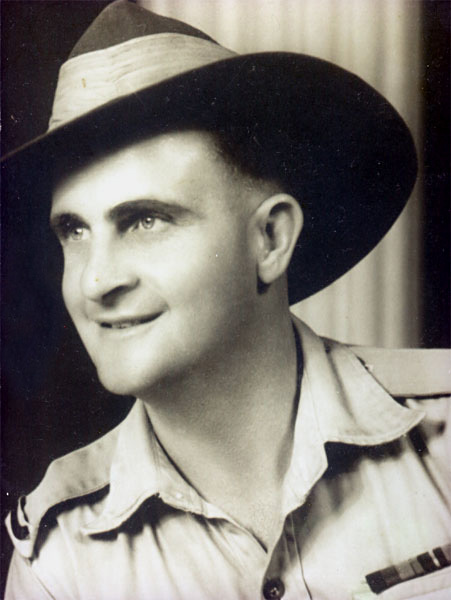 He had also collected a number of official photographs that were taken by photographers with the Australian Imperial Forces. I have also included a number of personal photographs. This photograph was taken in 1941. 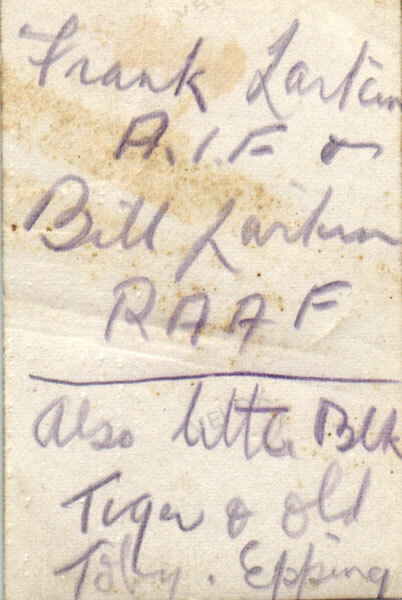 The reverse of the photograph records the actual date however the details have been obscured by a piece of paper that had been glued to the photograph. New World Amusement Park, Singapore. 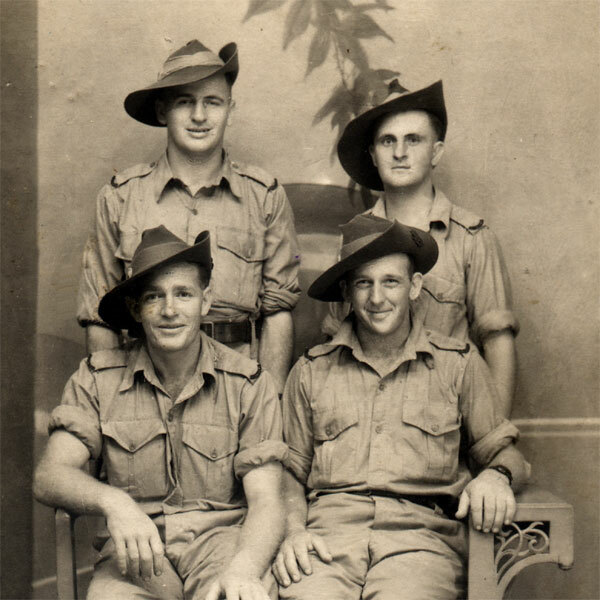 Francis Xavier Larkin Snr is photographed with Noel Austin, Jack Dickinson and Harold Day. 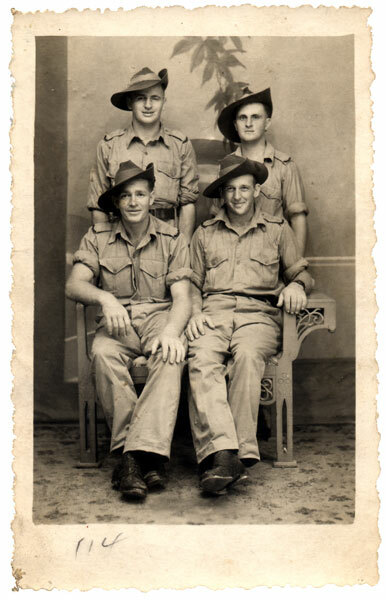 The reverse of the photograph provides details for each of the three soldiers. The original copy of this photograph was taken on the day that Francis Xavier Larkin Snr arrived at the Ohama Coal Mining Company. 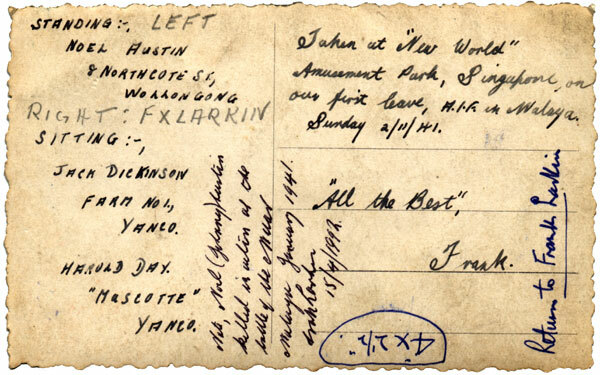 The photograph was taken on or about September 7th, 1944. 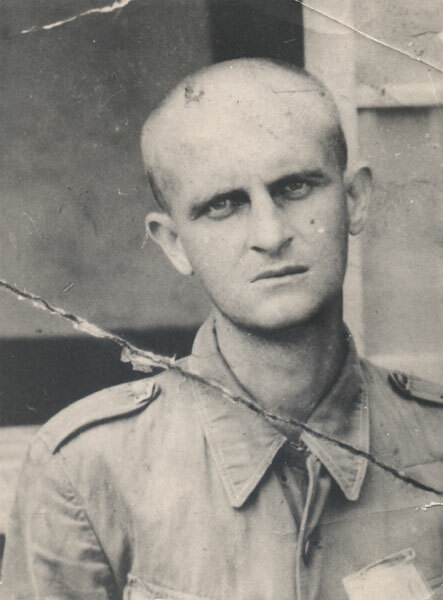 This photograph was taken on or about August 21st, 1945. 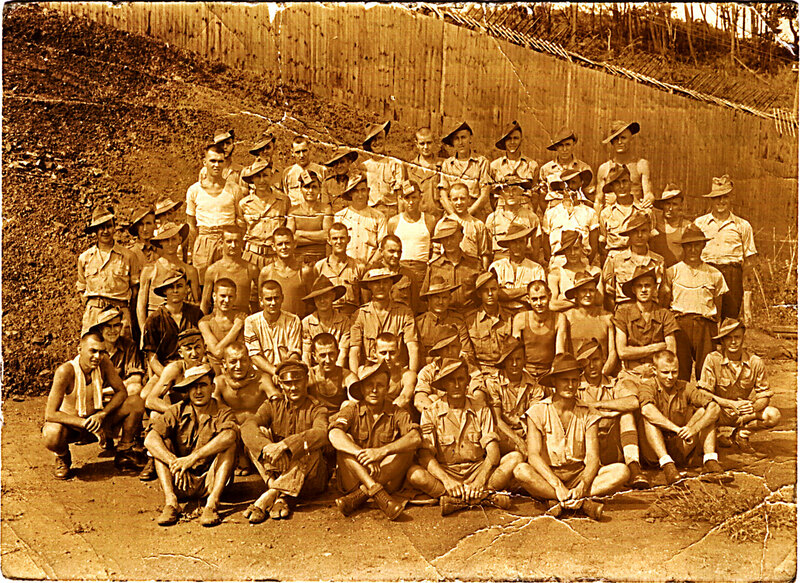 Arrangements were made for a photographer to capture the moment as a record of their time in the camp. 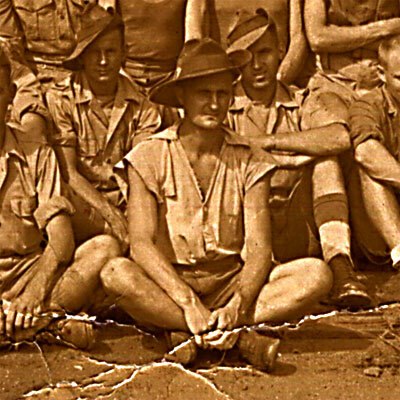 View a high resolution copy of the photograph. 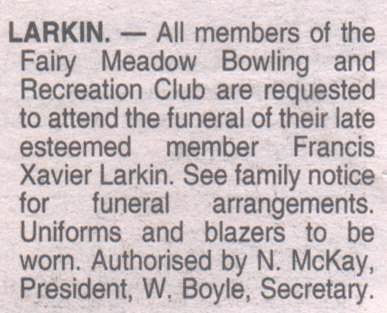 Frank and his brother, Bill Larkin. I am not sure when this photograph at left was taken. 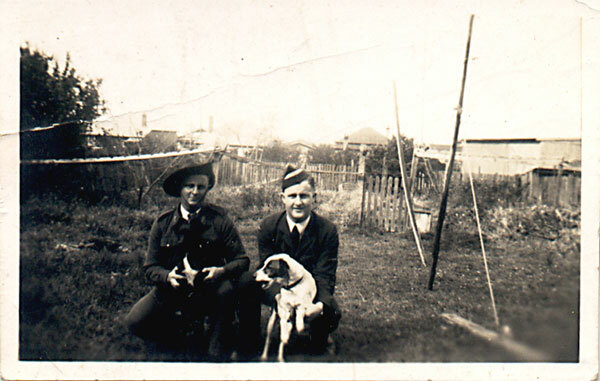 Pictured with Bill and Frank are two of the family dogs, Little Black and Old Toby. 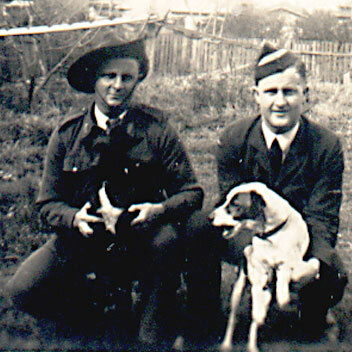 This photograph was probably taken in 1945, following Frank’s return to Australia. I am not sure of the exact date when the photograph was taken. Frank passed away June 7th, 2001. Frank passed away on June 7th, 2001. 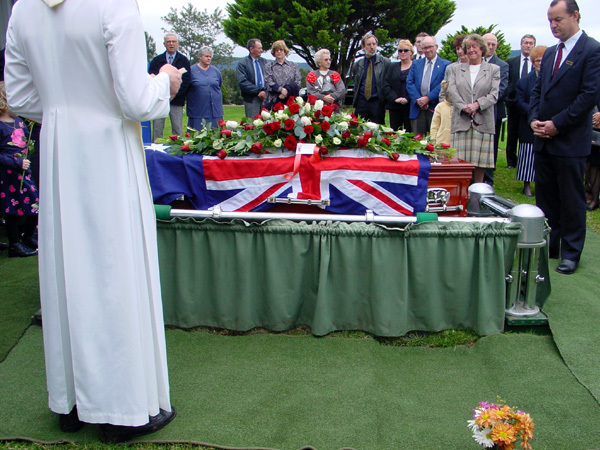 A flag was draped over his casket and the “Last Post” was also played in recognition of his war service. I really like what has been done to expand this site honoring you father. It is such a loving tribute. Well done! Please contact me again so we can catch up with one another. I saw your interview on TV the other night. I met your father very briefly in 1989, at Roger Rosewarn’s place at Maroubra.I believe Roger was related to your Dad by marriage.Your Mum’s Christian name being Carmel? 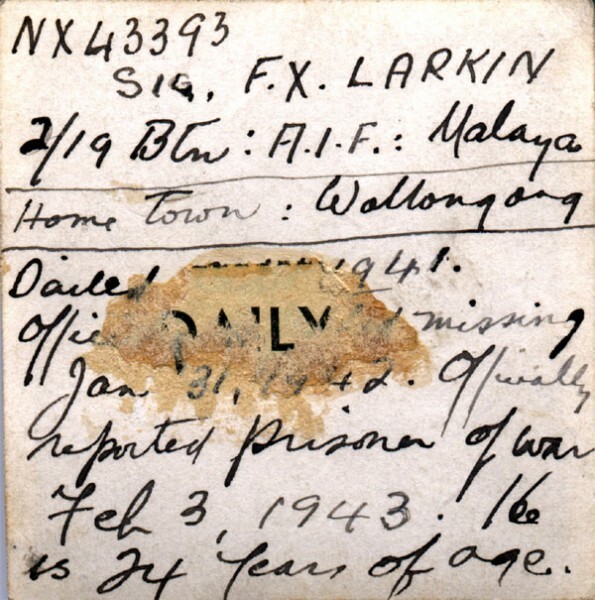 My ears pricked up when I heard the name Frank Larkin/ Wollongong/ POW. As you know Roger was a teacher of History.In fact he was my supervising teacher, during my Dip Ed in 1973. Anyway I’m a bit of a luddite, so this was the best way I thought of contacting you. I have a number of family stories which might interest you. Your Dad didn’t know either of my uncle’s , but I have a funny story to tell you of our brief meeting. My mob. is 0424 282 548 ( Vodafone ) home no. 02 9667 3454 (silent no. ) address : 85 Middlemiss St Mascot 2020.